The most efficient adblock for mobile, optimized for Safari. Remove annoying ads, boost browsing speed and secure your privacy with advanced site tracking protection. 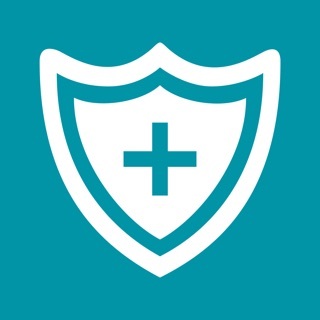 AdGuard for iOS is an open source app, it’s totally transparent and safe to use. - Ad blocking. Removes all kinds of ads in Safari. Say goodbye to annoying banners, pop ups and video ads. Manage AdGuard filters as you like and whitelist certain websites. - Tracking protection. Did you know that social and share buttons can identify you even if you never use them? AdGuard removes excessive buttons, counters and scripts that might track you. Targeted ads won’t follow you! - Speed acceleration. Safari browser runs up to 4x faster because AdGuard leaves tons of rubbish behind, and you can freely surf the web! - Reduced traffic consumption and increased battery life. All banners and ads might be of the same size as the page you’re loading. By blocking them, you’re saving your battery life and Wi-Fi/cellular traffic. - Regional filters. AdGuard is the first ad blocker to support multiple regions. When you switch the language, web pages in all languages will be equally filtered. - More than 50 adfilter subscriptions (EasyList, EasyPrivacy, etc.) plus AdGuard ad filter base. Altogether, they’ll block all possible ads. 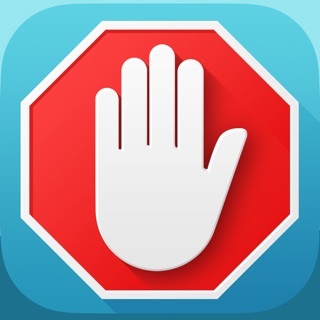 AdGuard is an open-source ad-blocking software for multiple platforms. For more than six years AdGuard has been helping thousands of users enjoy safe, clean, and fast internet. Another day, another release, we just can't stop popping them out! This time we've made some changes to AdGuard Assistant in Safari. Straightforward UI thats not overly complicated and easily allows the user to custom choose what protection they would like. AdGuard has also included its own set of rules that have been built from easylist/easyprivacy & fanboy list and specifically customized them for the mobile platform and iOS specifically that can used by themselves, with easylist, or not at all. They give full control to the user, no sponsor ads or paid ads are allowed through. There is a filter that allows self promotion ads like the ones see when using googles search engine, but the user can turn it off and on. If none of AdGuards syntax rules block a specific popup, ad, or third-party widget there’s an option to manually block it and add it to the user filter option so its blocked in the future. Whitelist is also available to turn rules off on certain websites. And the rules update multiple times throughout the day regularly so the latest adblock protection is always used. It works great for blocking those annoying ads. But it fails miserably at being able to whitelist more than one site. The first one I whitelisted, I have no problems with. But the second one? Can’t come close to saying the same. Nine times out of ten, when I visit that site, I get the message that its being blocked by an ad blocker. That defeats the entire purpose of having the whitelist function. Get it together. Edit: Well, now it doesn’t even function at all! I had to turn the blocker off to use a site (the same one I alluded to earlier,) but after turning it back on, it blocks NOTHING! Even after making certain it was on, and restarting the phone 7 times already, I STILL get ****ing ads! EPIC FAIL! Edit 2: It’s official. This is easily the worst “ad blocker” I’ve ever had. Despite being active, it does NOT block ads. I had to deactivate for a few minutes to use a site that was *supposedly* whitelisted. Then I reactivated it, and *nothing. * I closed all tabs, and restarted Safari. I wiped my history, and cookies. I even restarted the phone 3 times. Nothing. It is a colossal failure. I do not recommend it at all. The best ad blocker around. I've been using this for months on my iPad, iPhone and both of my Macs. I use it with Firefox, Safari, and Chrome. It consistently blocks all things I do not want to see, I have no problems seeing what I choose to accept, and it provides a more than acceptable level of customization by way of configuration and selection of standard and proven subscription choices. I've tried seven other options since ad blocking extensions were enabled for iOS and Adguard is definitely the best. I use a paid OpenDNS subscription passed through DNSCrypt for DNS at home and NordVPN when I go into the wild, so I cannot speak to the DNS style Adguard ad blocking. Regardless, my not using the Adguard DNS servers has had zero effect on how well this extension does its job.